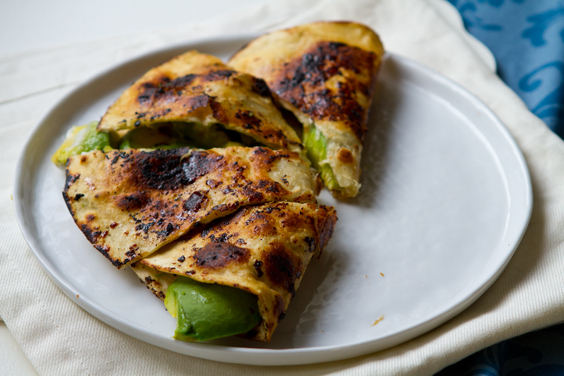 Go cower in the corner Mr. quesadilla - these vibrant green-stuffed Avo-dilla slices don't need cheese - in fact they don't need much at all. 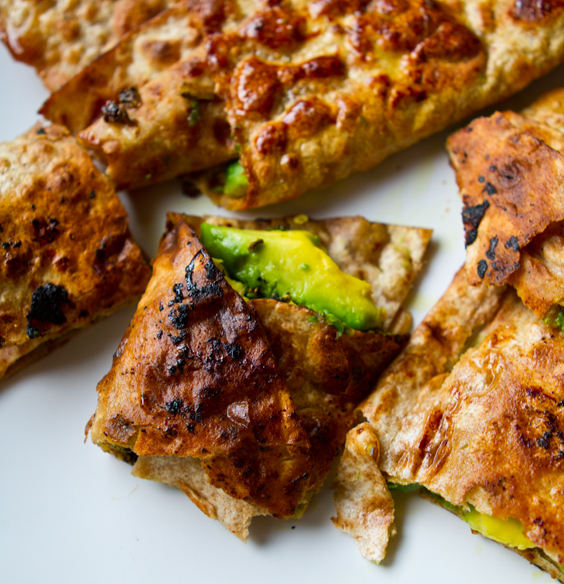 Just a few slivers of buttery rich (healthy) avocados to make the flavor sing. 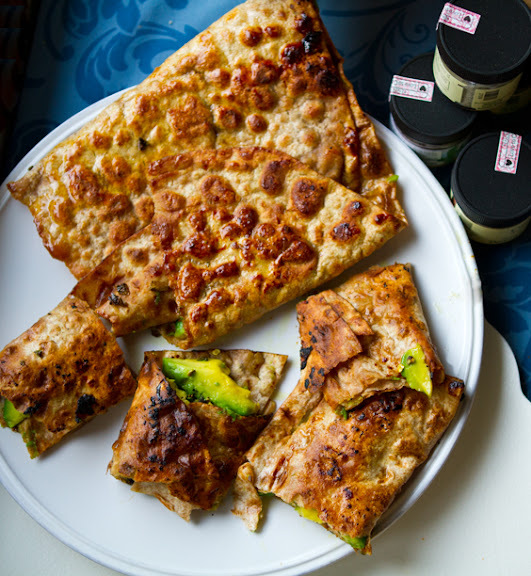 Sweet and salty caramelized tortilla or wrap edges sizzle in a hot pan - serve warm for a snack your lucky guests will swoon over. This is a satisfying (and slightly sinful depending on how much vegan butter you use) go-to snack for all the avocado lovers out there. I know there are a lot of us! Plus I have a few more last minute vegan Super bowl snacks for you all..
Avocados. make me happy. I'm still enjoying plentiful avocados at my house. It's like Christmas morning each day as I wake to find more ripened avocados in my overflowing bowl. 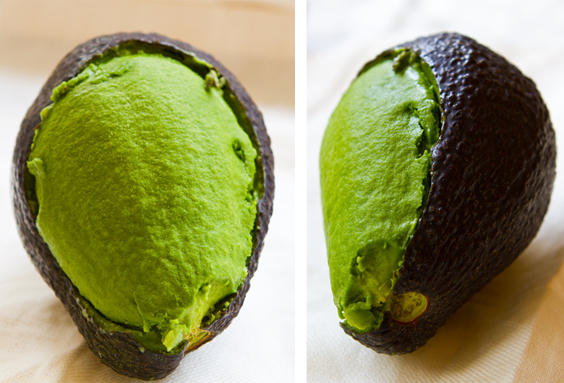 I squeeze those silky green or bumpy black skinned avocados to see if they have turned plush, soft and perfectly ripe. It's magical the way a rock hard avocado can turn into buttery bliss practically overnight. 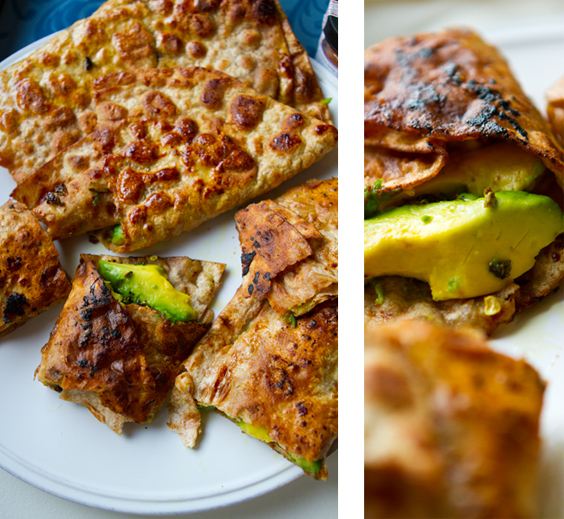 Meet The Avo-dilla! 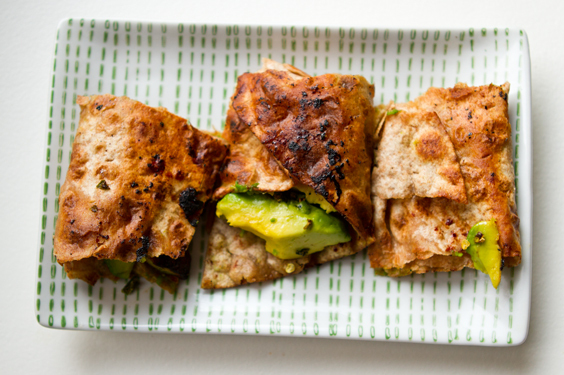 This super quickie, super yummy recipe is a new favorite of mine. I whipped it up today as my husband and I taste tested a few new bottles of hot sauce. I'm a hot sauce lover/addict. The combo of salty/sweet/spicy/rich was total snack bliss. You may not initially think of serving avocados in a warm dish - but trust me - this one rocks. 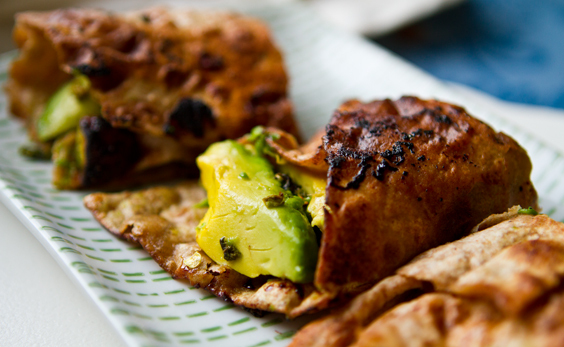 Caramelized salty-sweet bubbly edges meet that creamy slightly warmed avocado filling. Delish! The Wrap. For my first test of this recipe I used a standard tortilla. Yum. Then I tried some fresh whole wheat lavash bread. Super yum! 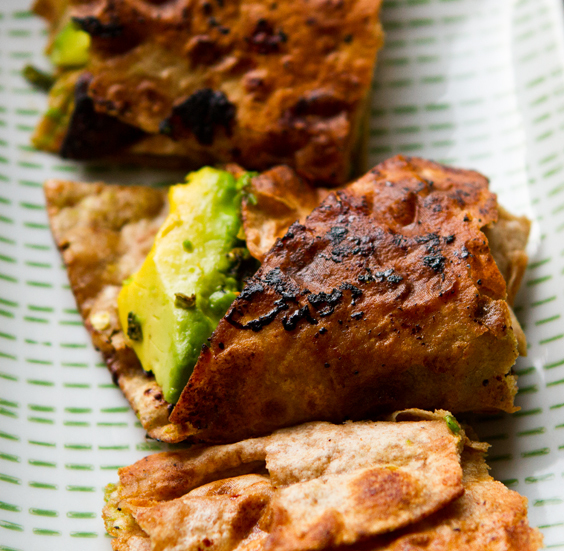 And a tad healthier since whole wheat and a bit lighter in calories than a thick tortilla. 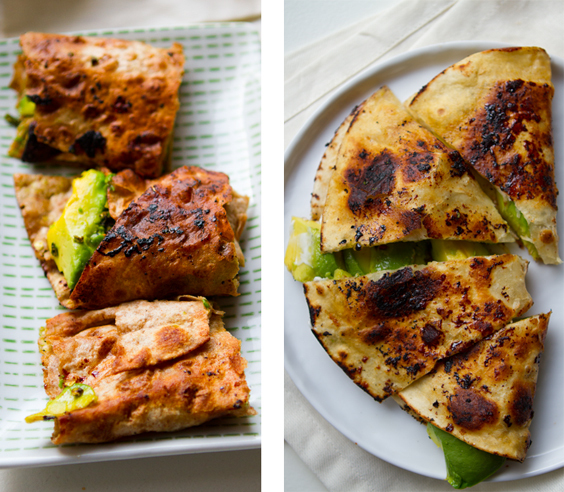 You could use basically any "wrap" for this recipe. Even sprouted grain tortillas! Or corn. My preference was the lavash. 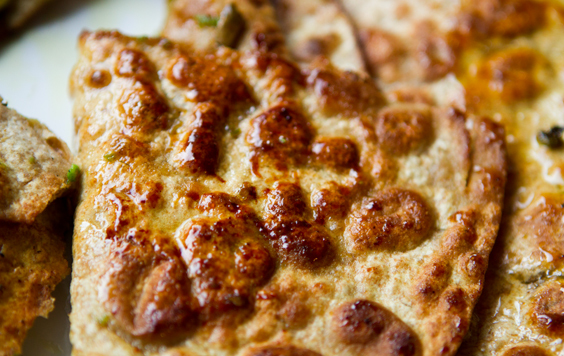 Light and flaky with caramelized edges from the sweet and salty accents. 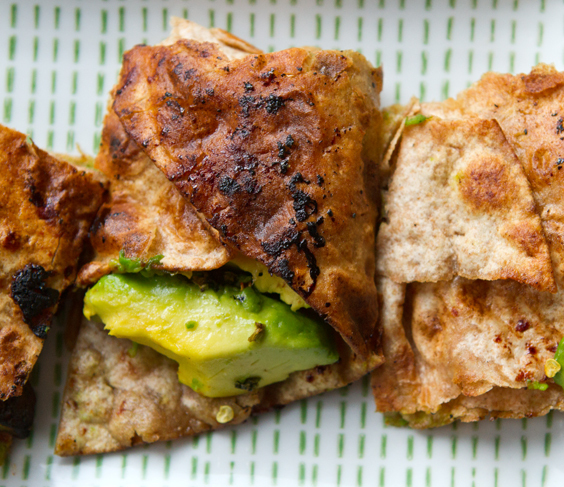 Make it a Guaco-dilla. 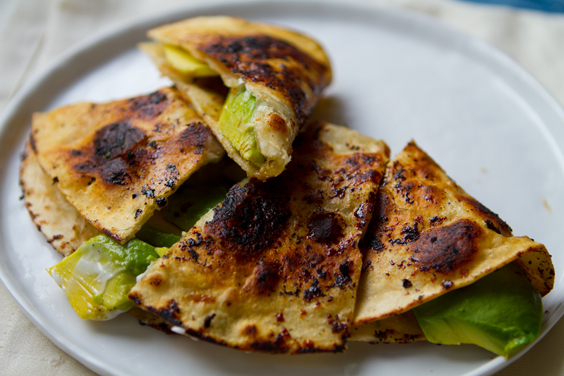 You could also use leftover or fresh guacamole for this recipe in place of the avocado slices! 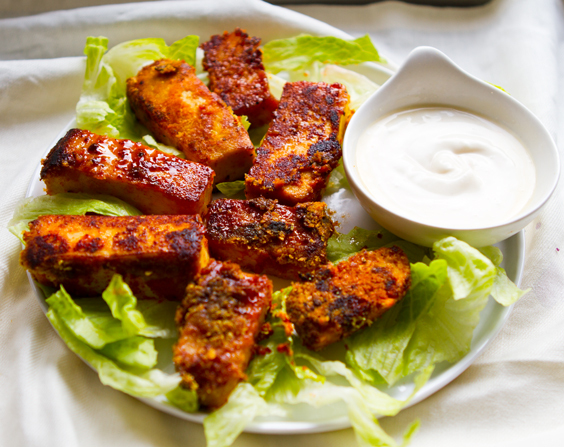 Another delicious last-minute Super Bowl snack..
Tofu and Tempeh Buffalo Bites..
Want more snack recipes? Get my 14 Favorite Super Snacks - Made Vegan here. 5. Carefully flip the tortilla so that both sides brown. If a few ago slices spill out, just open the wrap and slide them back in. And if you really want, you can add some Daiya cheese to make the tortilla stick together (not needed for flavor though!) The heating process is pretty fast - just a few minutes from start to finish. 7. 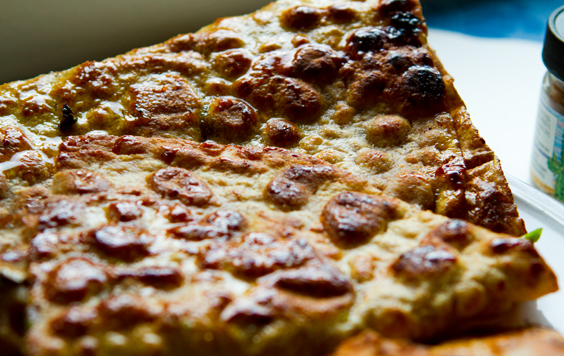 Slice and serve warm! Yummy with hot sauce. You can also add more spices over top the warm ago-dilla to flavor a bit.